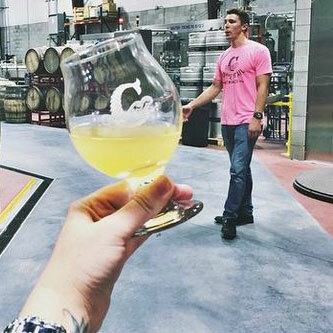 TOURS — Coppertail Brewing Co.
Tours are $7 plus tax ($7.50) and include a beer to take on the tour, tastes of more beers during the tour, and a souvenir pint glass. Tours generally last about 30-45min. Sign up with one of your bartenders and they will give you a ticket that you will trade for your pint glass at the beginning of the tour. 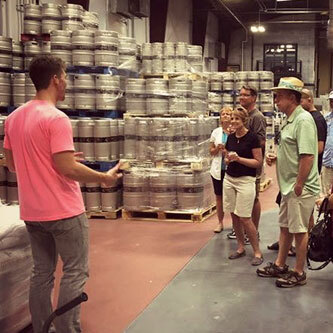 Must be 21 years or older to have any samples during the tour. You must be at least 14 years or older to go on the tour. Infants are allowed on tours as long as they are being held by a parent during the entire tour. Please enjoy your experience, but remember you are touring a production facility. The nature of our business may present unexpected hazards. For your safety please stay with your group and follow your guide’s instructions throughout the tour. Shirts and Shoes are required (sandals are okay but for your safety we suggest closed toed shoes). No food on the tour. There are no restrooms available on tour route. The tour guide has the authority to cancel the tour at any time. There may be times when certain areas will not be accessible due to maintenance, safety, or operational needs.